Do you have a friend who is opening a new business? This is the best time to send grand opening flower stand delivery. Sending Grand opening flowers is a great way to show your support to someone for a new achievement in life. The Bloom Outlet Florist Singapore creates gorgeously handcrafted grand opening flower stands in attractive designs. Traditional grand opening flower stands are arranged and designed to send as flower gift. One may contain congratulatory messages and warm greetings to the owner of the business on grand opening day. The Bloom Outlet Flower shop creates this flower for opening ceremony in the most luxurious way not just to attract people but to celebrate the achievement. From the choice of flowers to the specific design of the stand to the design of the base, everything in it is sophisticated and lavish. The Bloom Outlet offers different designs of Flowers for Business Grand Opening in different shapes and sizes to leave an impression. 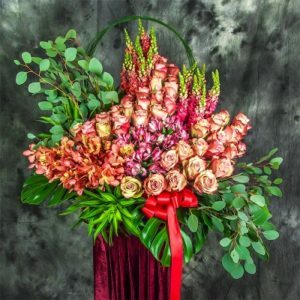 You can send this florist delivery not only to congratulate your friend but also to provide a beautiful and attractive decoration to the space on the day of grand opening of the business. Congratulatory flower stands will leave a lasting impression to all the guests and prospective clients. The Grand opening flowers can be ordered and delivered on the same day. You can count on The Bloom Outlet online florist to have the grand opening flower stand delivered to the business address just in time for the celebration. 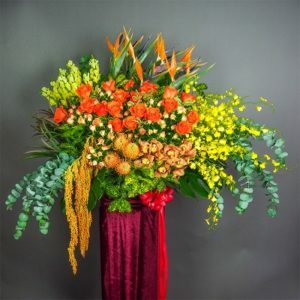 If you have other desire or request for exact delivery date and time, it is best to let the florist know the details of the flower delivery. 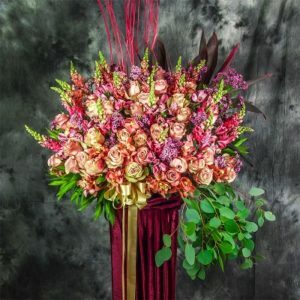 Sending grand opening flower stand as Congratulations Flowers gift to a person on grand opening of his or her business does not have to be expensive. At your specific budget, you can have the best grand opening flower stand delivery on discounts and deals when you choose to have the florist handle the job. Some florists also offer different designs and arrangements for less the price when you buy the stand online using coupons and codes. For other options for budget-friendly purchase of flower stands, it is for your benefits if you will visit the flower shop. The flower stands for grand opening of a business are generously and meticulously created by the florist for a perfect Official Opening Flowers. This is the best time to celebrate the new business and a new opportunity to be productive and progressive.